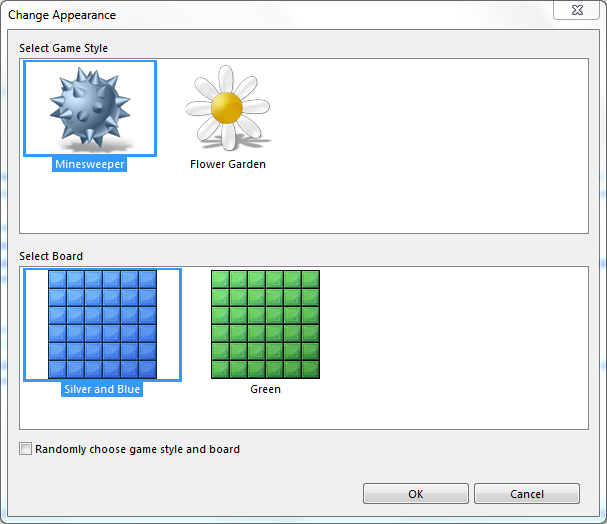 Windows Minesweeper game players can change appearance of the Minesweeper game using game styles. 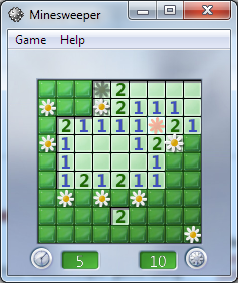 In Windows 7 using Minesweeper game styles, you can change a ground with full of mines into a garden with grass and flowers. I believe, kids will love playing on a more lovely game background like flowers on the green grass rather than a ground with mines. 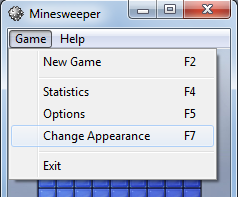 In order to change the Minesweeper game style, open Game menu on top and then select Change Appearance F7 menu item. Or you can even use the Minesweeper short-cut F7 to display the Change Appearance screen of the Windows 7 Minesweeper game. Then the following "Change Appearance" screen will be displayed. You have several configuration options that will affect the game leisure and layout of the game on this screen. First, Minesweeper game players can change the game style. 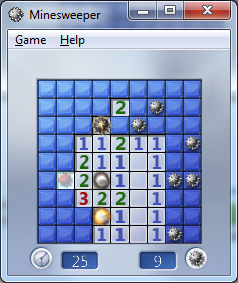 There are two options for Windows 7 Minesweeper game players right now. I strongly suggest parents who want to introduce Minesweeper to their children. The other option which is configurable is the Minesweeper game board layout. Here actually players can change the colors of the game board. 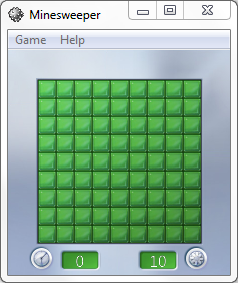 The available colors for Minesweeper players in Windows 7 are : Silver and Blue (default) and Green. Both game board colors are very lively. One last comment for making children love Windows Minesweeper game or Windows Flower Garden game is to enable animations and play sounds. You will find these configuration options on the Game menu, Options sub-menu item. 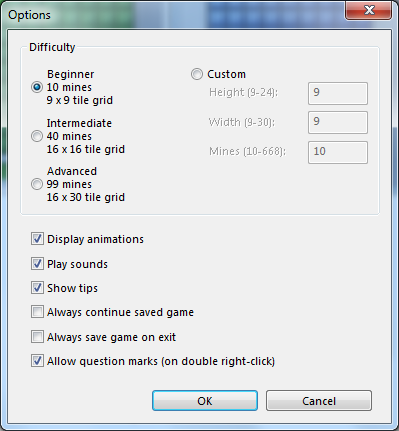 You can also use the Minesweeper short-cut F5 for Options screen. Be sure that Display animations and Play sounds are marked. 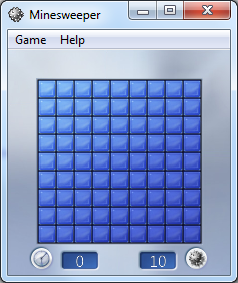 Of course, the difficulty level should be set as Beginner level with 10 mines in a 9x9 tile grid.